At American Towing Service we provide specialty towing services for all of Miami-Dade County, Broward County and Monroe County. 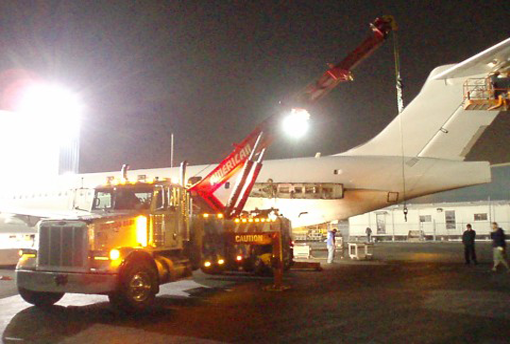 As South Florida's Premier Towing, Transportation & Recovery Company we are proud of our commitment to provide expedient and excellent service to our customers. Towing of commercial and privately owned vehicles. In the result of a breakdown or an accident, our team of flatbeds/light duty trucks will respond and deliver your vehicle to your place of choice. 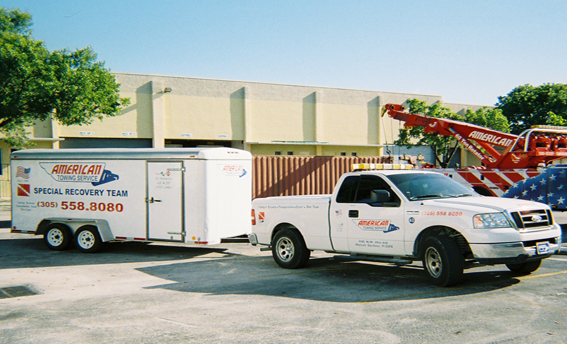 Our trained and certified recovery team can handle any job, from a simple rolled over vehicle to heavy machinery. The transporting of heavy equipment, machinery, motor homes, and buses is no match for our fleet of landolls and lowboys. Out of the ordinary or unusual circumstances sometimes requires special training and experience. We have the ability to handle these types of situations. Powered by Fortis 360 Interactive, Inc.